Everyone has their browser of choice. Mozilla Firefox has been one of the most used and popular browsers for years. With frequent updates, a penchant for security features and an ever-evolving security prescience, Firefox is one of the best ways to stay secure online. We show you how to optimize Firefox to protect your privacy in less than ten minutes. 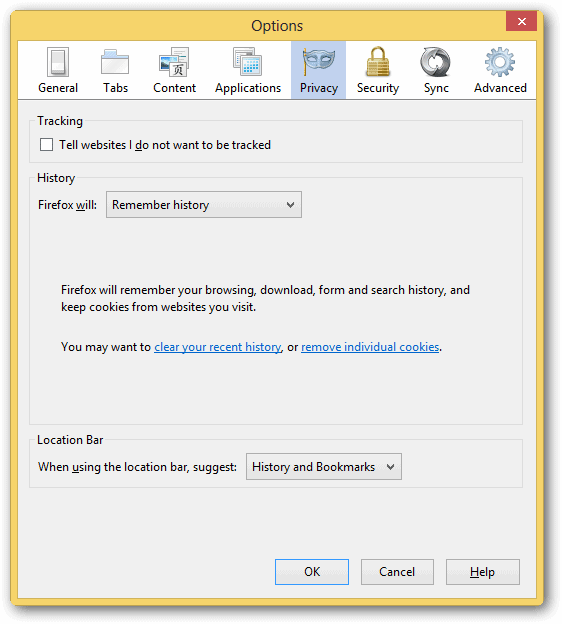 First things first, you should ensure Do Not Track is enabled in Firefox by checking out our guide here. Then, click the “Firefox Menu” in the top left hand corner of the browser. Click “Options” followed by “Options” a second time, then open the “Privacy” tab. You can decide if Firefox keeps records of where you go online. This is more important for protecting your privacy if someone else uses your computer. You can also opt to keep the location bar form suggesting links that they pull from your browser history. Firefox has a variety of extensions that can help ensure privacy and security no matter where you surf online. One of our favorites is Better Privacy, which helps ensure Flash cookies aren’t stored in your browser when they shouldn’t be. Flash cookies are often overlooked by users. Check out our guide here. We also have a list of 18 of the best security and privacy add-ons for Firefox here. This is a great way to find the right combination of add-ons to give you additional levels of privacy when using Firefox. Ghostery, another add-on we’ve covered, is one of our favorites on this list. It helps tell you who is tracking you as well as how to avoid them. User Agent Switcher, Redirect Cleaner and WOT, which we’ve also covered, are also some of our top recommendations. 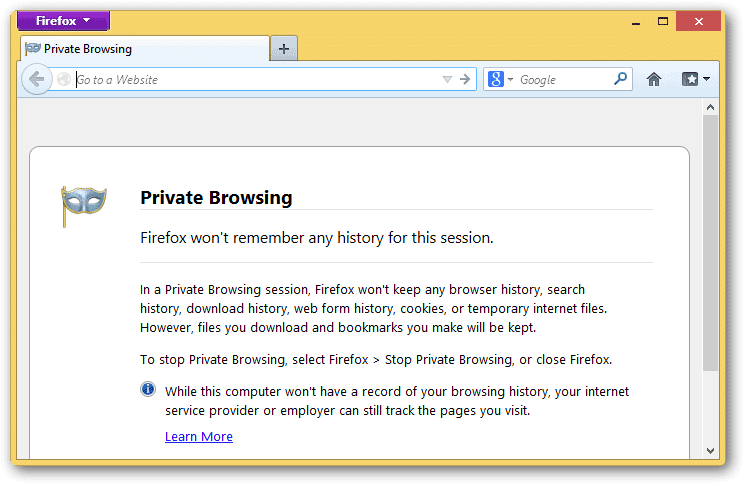 Firefox 20 finally introduced its version of Chrome’s Incognito mode called Private Browsing. While you can only open up a new browser window in Firefox to utilize it, the add-on Private Tab adds private tab browsing, too. 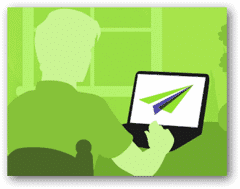 When you open a private browser window or tab, you’ll be asked to confirm you want to do so. From there, Firefox will give you a new window – indicated by the Purple Firefox Menu – to let you know you’re browsing privately. You’ll also be given the rundown on what private browsing in Firefox means. If you want to browse privately by tab, as opposed to a whole browser session, you can install the Private Tab add-on to do just that. How secure is Mozilla Firefox? Firefox has often been considered one of the more secure browsers around and before Chrome hit the soon, most Internet Explorer users ditched that browser for it. Firefox has been proven to offer security in ways IE and Chrome later implemented. When Firefox is supercharged with privacy settings, private browsing and add-ons, it can be a tank when it comes to protecting your security and privacy when using the web.